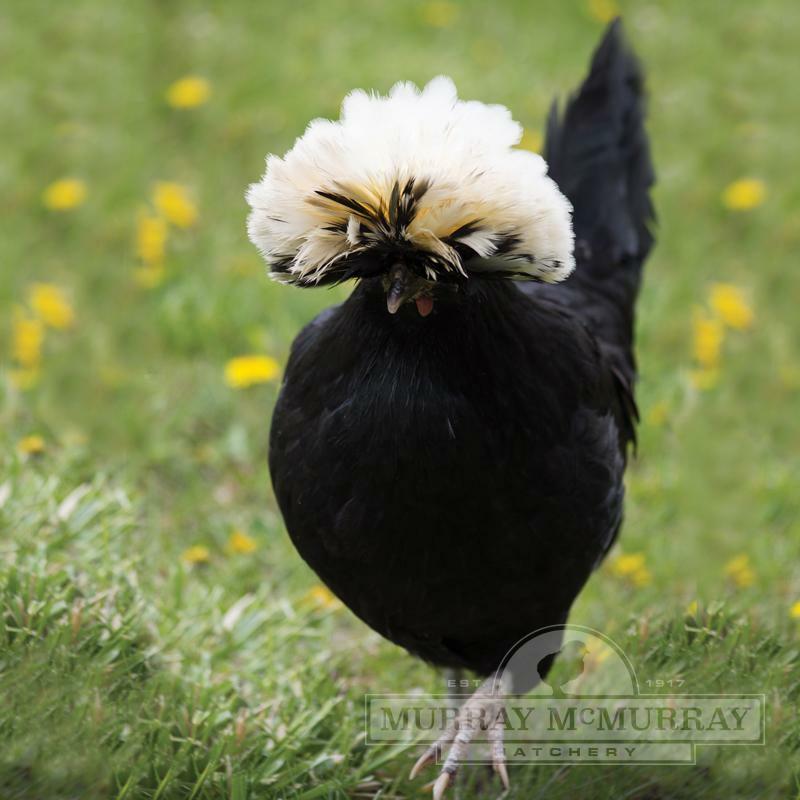 The mature White Crested Black Polish represent a striking contrast in color with their body plumage of lustrous black and crests of white with a few black feathers. 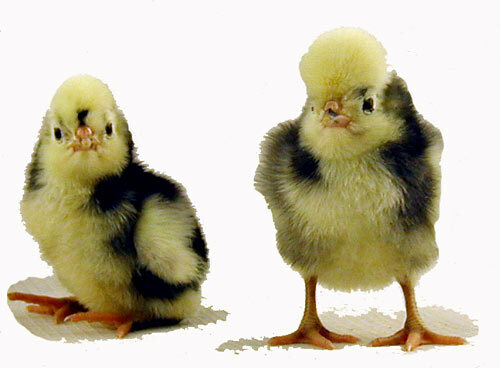 The little chicks are cunning with their black bodies and white "top hats". 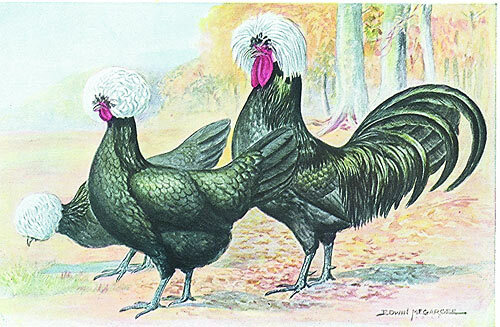 You will be delighted with these lovely and interesting chickens which are useful as well as attractive. 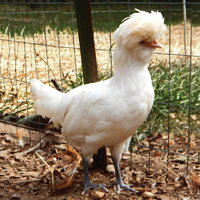 White Crested Black Polish, do they lay eggs? Yes, they lay medium sized white eggs. 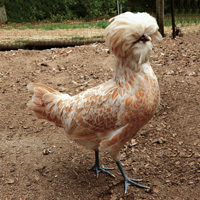 OzzieOswald (Ozzie) is our free rare breed chick, who became a rooster. He is really beautifully colored like a paint horse and keeps the others mostly together. He doesn't get along with Elvis, though, so he'll have to go. Wish someone would take him for a fair project because of his beauty. A review of a roo!Our roo was a mystery chick...being first timers didn't know that if you want a good tempered roo...start training asap! With that being said, he did protect the 15 hens very well. He was a little rough on the hens but maybe they might have had it coming?! Poor guy had his head pecked so bad that the guy had a bald spot in the middle of a white ring of feathers. 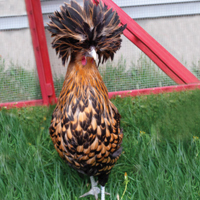 We used blue food coloring to reduce the pecking but the feathers on the top of head never did fully grow back. Our flock was a mixed breed of different breeds and some were bigger than him...lol So I think he did and excellent job at being a protector for our flock.